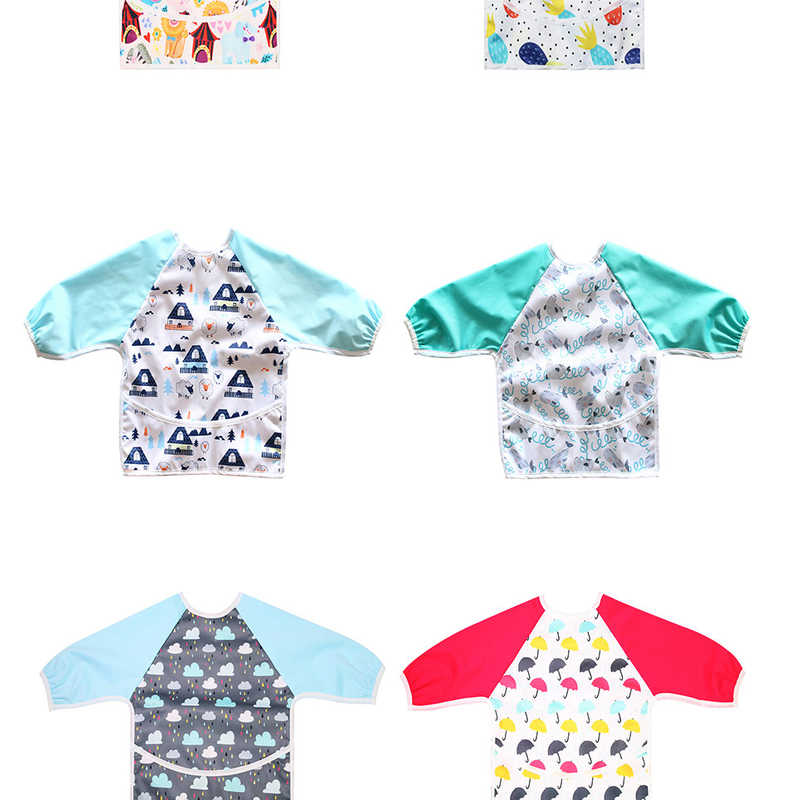 Features an adjustable tie closure and catch-all pocket, which keeps things off the floor. 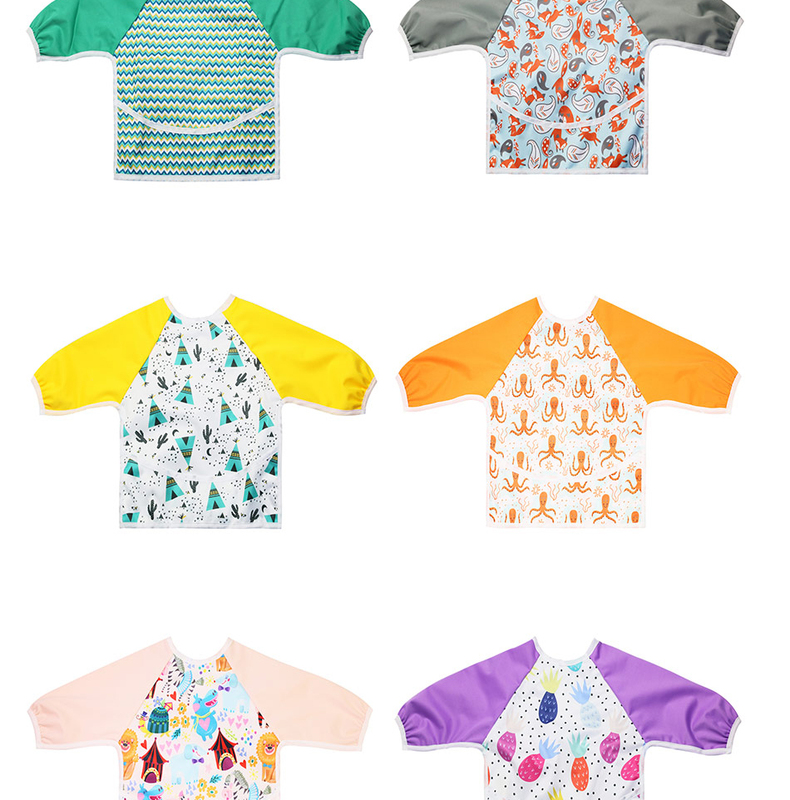 It can be the full clothing Feeding coverage and can double as an art smock. 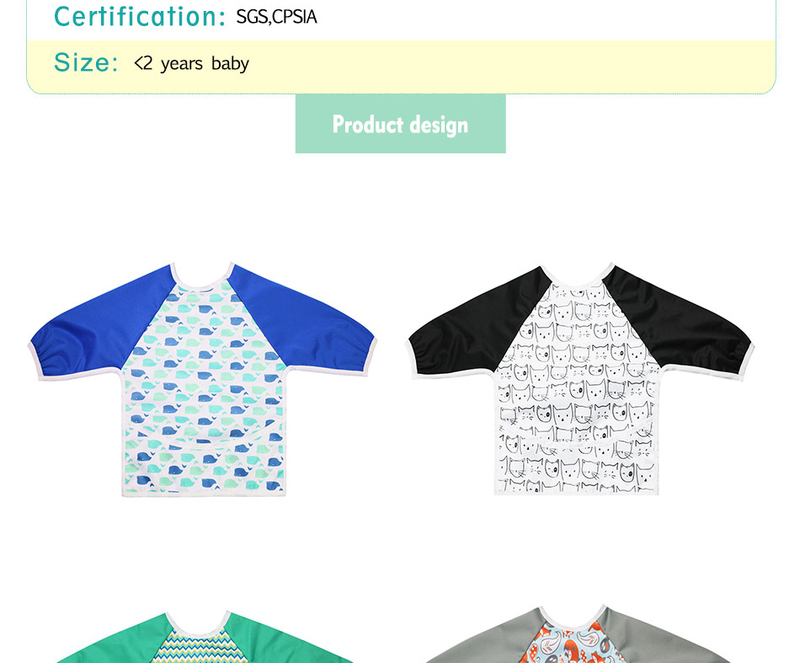 And design has long sleeves, Protect kids from staining clothes, when they are eating, painting, or do anything else. 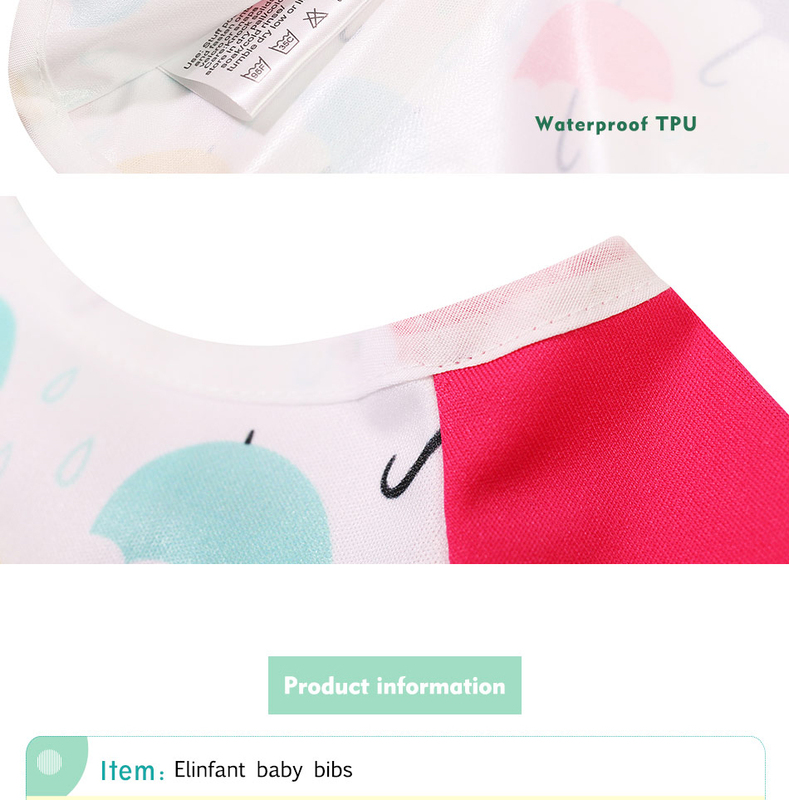 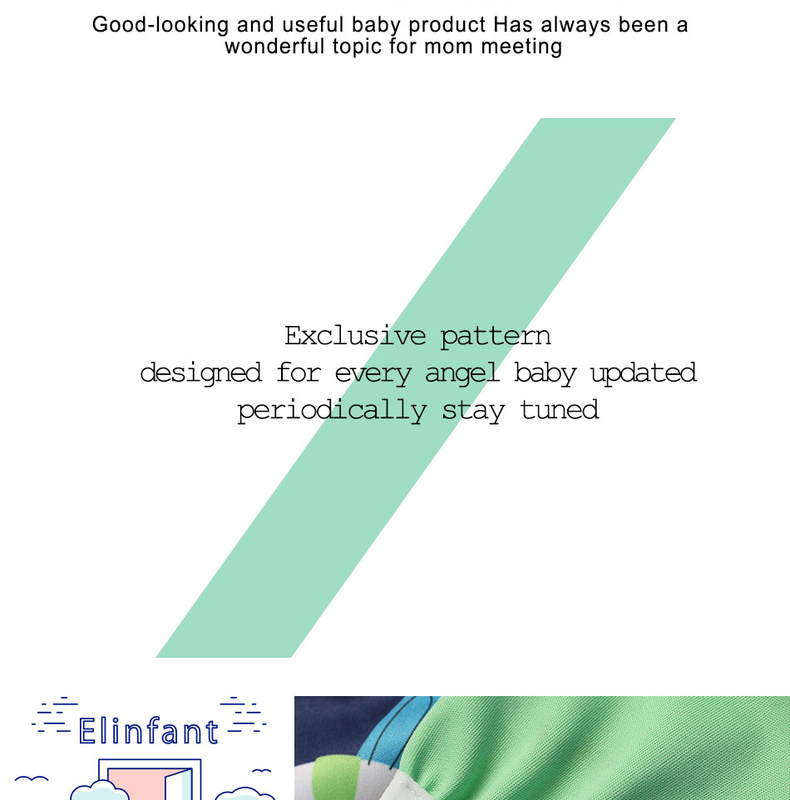 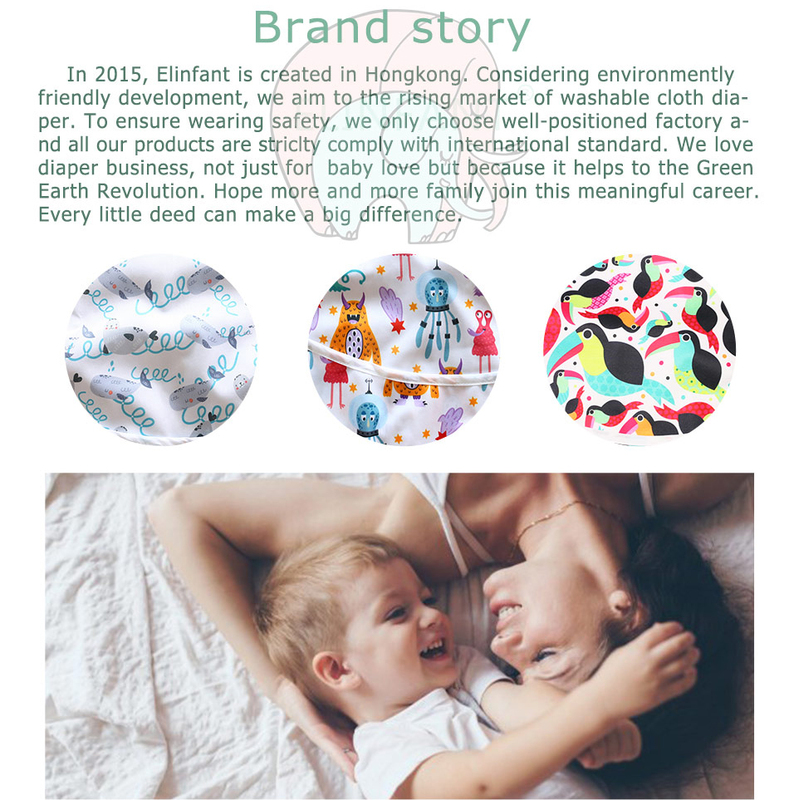 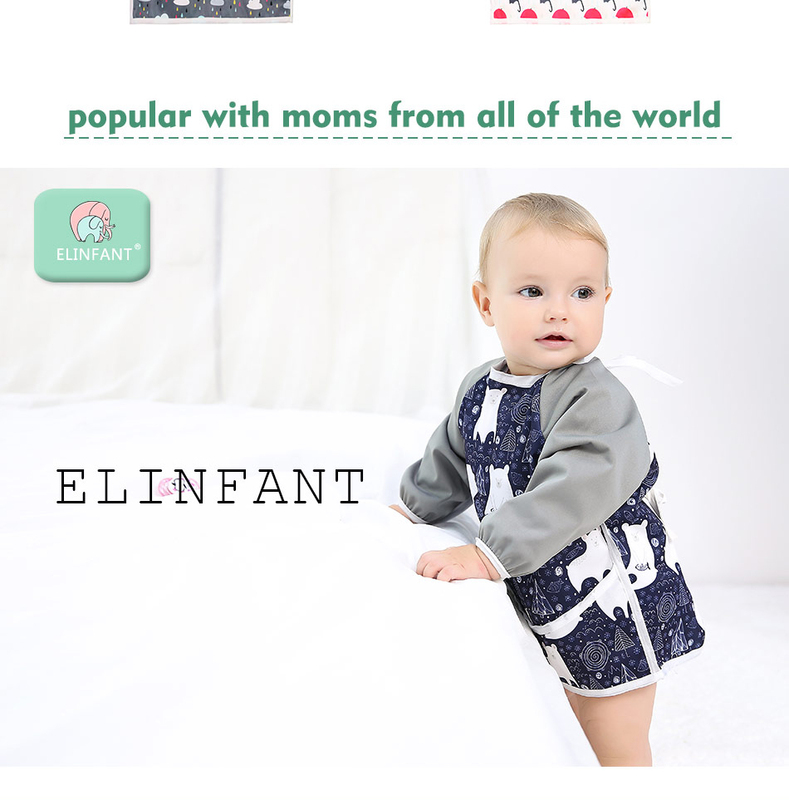 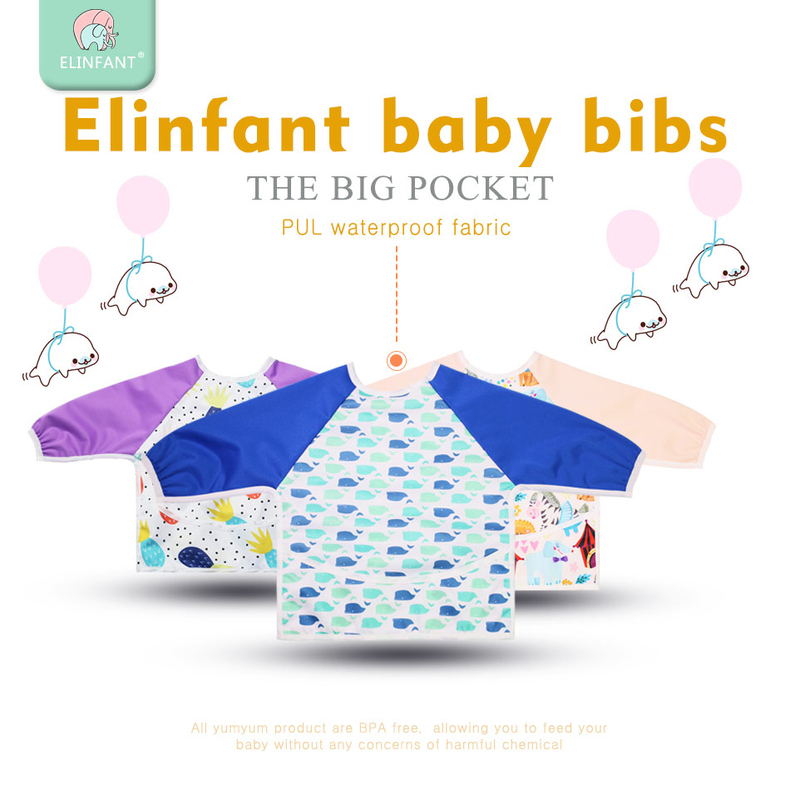 Elinfant bibs with sleeves are made of Polyurethane Laminate fabric, reusable, super waterproof, easy wipe and lightweight PUL fabric, stain and odor resistant, health for your babies. 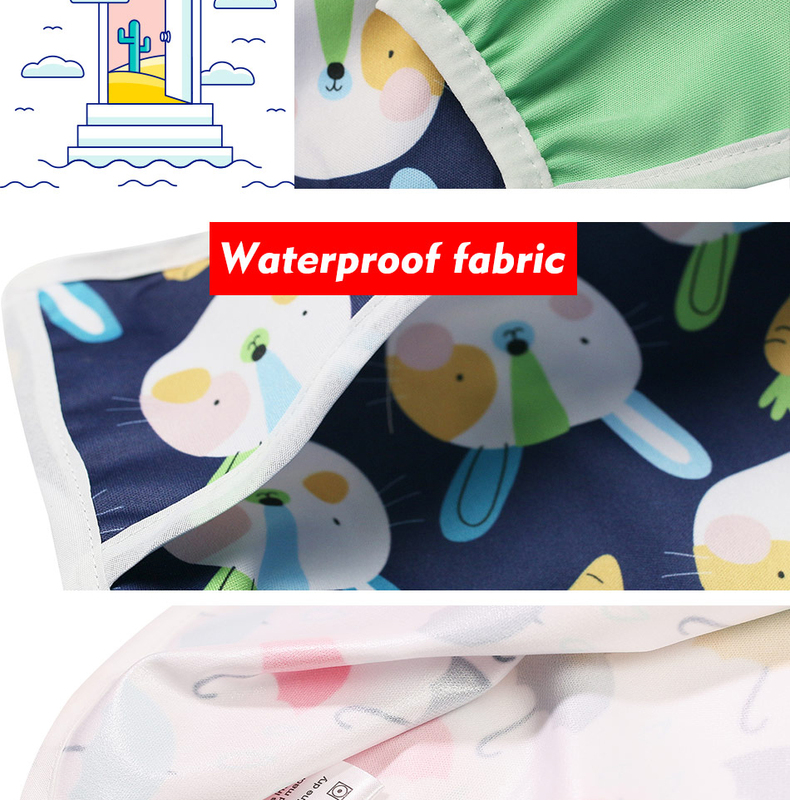 Light and easy to clean up, machine washable, hang dry.